Australian chart-topper Sia created controversy last year, as her 'Elastic Heart' music video featured Shia Labeouf dancing with 12-year old Maddie Zieger (who's appeared in future Sia videos) and they're tussling in a cage fight, causing outrage and for people to feel that it was crossing boundaries of what's appropriate. You may be surprised to hear this, but Sia's back with her seventh (yes seventh) album This Is Acting, and it's been highly anticipated since her recent hits and 2014's 1000 Forms of Fear. The album begins with 'Bird Set Free', which sounds more like Adele when listening to the first 10 seconds but soon picks up, with Fowler's uniquely brilliant voice taking over the strong drum beat and showing a strong vocal performance proclaiming "I sing for love/I sing for me/I'll shout it out like a bird set free", the perfect opening track to show everyone what she's made of and make them wonder if the rest of the album will live up to that standard. Good news: it does. Speaking of Adele, lead single 'Alive' was originally meant for 25, but I'm so glad it wasn't chosen for her, as Sia's lyrics and take on the song is one that she could only produce and as soon as it comes on the radio, everyone will recognise this as being performed by Sia - I wouldn't have it any other way. If you thought that an album by Sia would be all ballads and no upbeat tracks, then you would be wrong - 'Move Your Body' being a perfect example of this. It shows its Dance colours from the outset and sticks with it throughout the whole song, perfect for clubs and parties, getting everyone on the dance floor and moving to its loud chorus. 'Cheap Thrills' sounds like something from Selena Gomez or one of the Pop princesses of this generation, and that's not a bad thing at all. 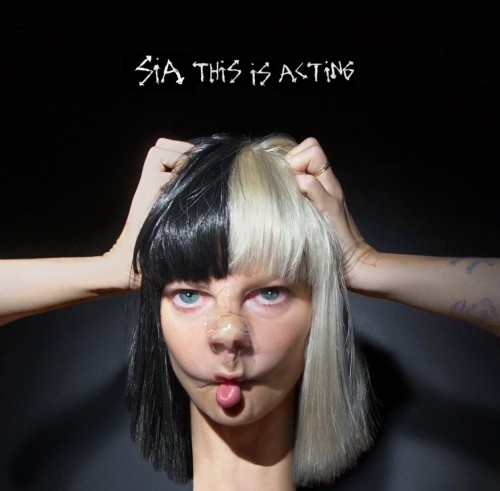 It's just a sign that Sia can do more than ballads to mix it up and experiment with different sounds, which she's pulled off well on every song on This Is Acting. You can buy This Is Acting from iTunes, Amazon (UK | US) and stream it on Spotify from 29th January. Follow Sia on Facebook, Twitter and Instagram to see what she's up to. Don't forget to follow me on Facebook, Instagram and Twitter to see what's being posted, as soon as I post it.